USD is getting weak due to the Fed and BoE’s meetings this Wednesday. 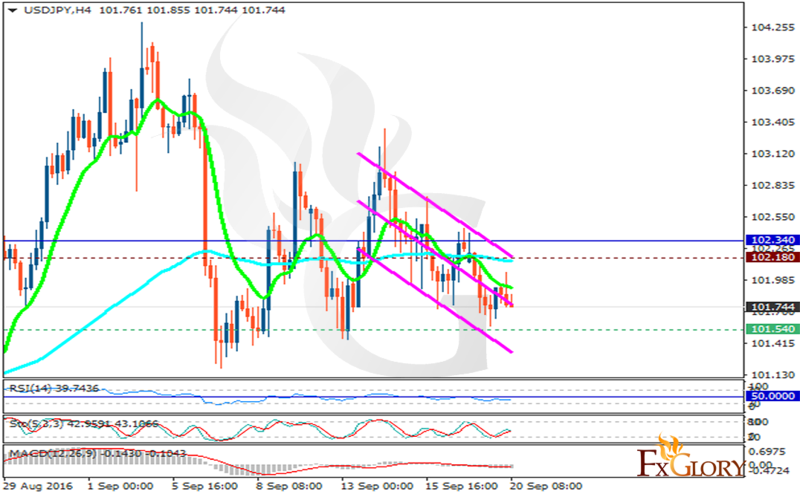 The support rests at 101.540 with resistance at 102.180 which both lines are below the weekly pivot point at 102.340. The EMA of 10 is moving with bearish bias and it is located below the EMA of 100. The RSI is moving below the 50 level, the Stochastic is showing upward momentum and the MACD indicator is in negative territory. The pair will fluctuate horizontally in a choppy manner at this point.